Looking for a home in the Miami , Boca Raton or elsewhere in Florida? Perfect, because the houses for sale widget from Zillow below will lead you to a selection of nearly 1000 detached properties. 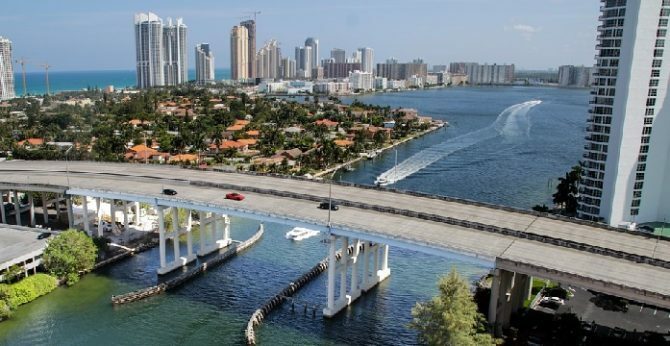 Whether to live in or invest in, houses in the Miami area are in high demand. From Coral Gable, to West Miami up to Boca Raton to Miami Shores, you’ll discover a wealth of extremely beautiful Florida homes, the kind everyone dreams about. Prices range from $239,000 to $8 million or more. It’s not quite correct to say you can’t find a home comparable in quality to Los Angeles, San Francisco, Phoenix or Denver. Search hard with a good home search system, and you might find a gem. Realtor.com has an incredible 7,000 homes for sale on its site, about a quarter of all property listings. Zillow has about 1000 detached home listings. Currently, the average home listing price is just over $400,000. Are you looking at houses for sale as a rental income opportunity? The ROI is tremendous in a number of cities including Miami. You may want to look north to Canada as well. The Toronto real estate market and Vancouver real estate market are ripe with income potential. The condo market in Toronto, Vancouver and Mississauga is very promising. Take a look at pre-construction condominiums too. Los Angeles, San Francisco and San Diego California are excellent rental markets, however the cost of the property might make you think twice. See this video from a real estate investment advisor on properties with a high return potential. Of course real estate investment is always speculative so ensure you have a professional advisor to weigh in on your choice. Don’t limit yourself to your own location. Most often, the best returns are in another city or perhaps another country.